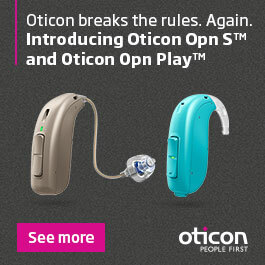 Cochlear Americas is the world's pioneer in cochlear implant systems for children and adults with a comprehensive product line to fit even the most unique hearing needs. Having invented the world’s first cochlear implant more than 30 years ago, Cochlear is the pioneer in implantable solutions that help people of all ages hear better. Cochlear has North American headquarters in Centennial, Colorado but its products are available worldwide. Cochlear implants consist of the implant itself which is surgically placed inside the cochlea of the inner ear and the externally-worn sound processor. Some processors are more sophisticated than others and higher technology features typically command a higher price tag. 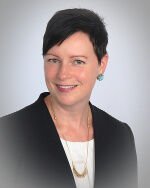 A hearing healthcare professional that specializes in cochlear implants can help you determine which processor is best for your lifestyle and hearing needs. solutions to fit every hearing need. Cochlear offers the only available bone conduction implant called the Baha implant. 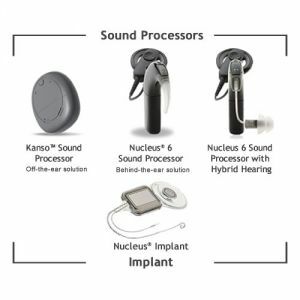 This implant is specifically designed to help people who have conductive or mixed hearing loss, single-sided deafness, malformed or chronically-draining ears. This implant works with the Baha sound processors described above. The Baha Power and Baha Super Power processors feature Made for iPhone technology to enable easy audio streaming from personal audio devices. For people who can benefit from having a cochlear implant in one ear and a hearing aid in the other, Cochlear has teamed up with ReSound to offer a bimodal hearing solution. These solutions can help make speech understanding in noisy environments easier, and they can make it easier for you to locate the sources of sounds occurring all around you.